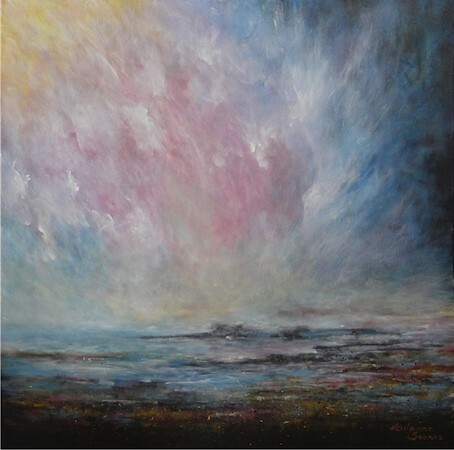 Description: Timeless, a breathtaking seascape with vast skies by Kalpana Soanes. This large semi-abstract would make a great centrepiece. It is best viewed from a distance, so apart from corridors, it will enhance any spacious room and create an inspiring ambience. The sides of this deep edge canvas are painted black and there is no need for a frame. The artwork is ready to hang.